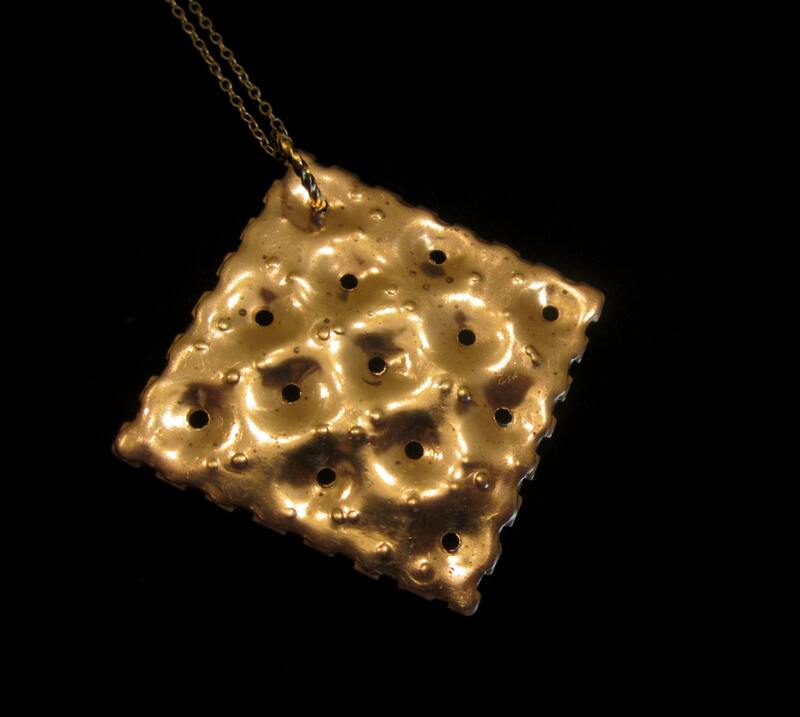 This necklace is made with a brass Saltine-esque cracker hanging from a 14/20 gold-filled chain. The detail on the cracker is amazing from the scallped edges to the salt bits. Please note, the salt patterns on these crackers may vary. There is a 14/20 gold-filled springring clasp. This necklace measures approximately 16 inches but can be adjusted upon request at check-out. The cracker hangs approximately 1.75 inches from the chain. Perfect gift for my friend Tina! When she's salty we call her Saltina!! Everybody loves it!